FOOD GROUP BIRDSEYE has today said it will now be withdrawing some of its beef products following tests that revealed one of its products contained horse DNA. In a statement today, the company said its chilli con carne, produced by Frigilunch NV and sold in Belgium, has tested positive for horse DNA at 2 per cent. The product has now been withdrawn from sale in Belgium. As a “precuationary measure” it said other products produced by the same supplier, namely Traditional Spaghetti Bolognese 340g, Shepherd’s Pie 400g and Beef Lasagne 400g will be withdrawn in the UK and Ireland. However Birdeye moved to reassure customers saying that all of its beef burgers, pies and platters were clear of horse DNA in the tests. It also said the withdrawn products will not be replaced on supermarkets shelves until it has finished investigations and has “complete confidence in this supplier”. Since the first discovery of horsemeat in some beef products produced by a number of manufactures and retailers, the company has been checking the integrity of its own beef products. “We want to apologise to consumers and reassure them that we will keep them fully informed and that we are taking action to deal with this issue,” it added. Customers will be given a full refund on products already purchased and can contact the consumer services careline on 1850 298 398. 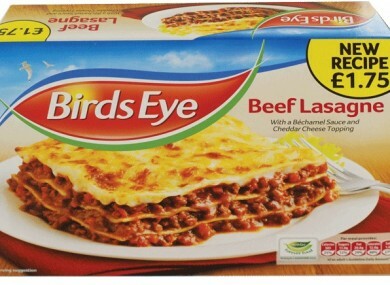 Email “BirdsEye recalls beef products in UK and Ireland after horse DNA discovery”. Feedback on “BirdsEye recalls beef products in UK and Ireland after horse DNA discovery”.